Alpha 1 of CM9 was released with fixes for HD video (hardware video encoding) and better touch responsiveness, plus some rendering enhancements using the hardware’s 2D graphics core. The big deal here is that HD video in YouTube no works. 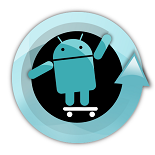 The CyanogenMod 9 developers continue to pleasantly surprise us. am really eager of reading thiis website’s post to be updated on a regular basis.